I read this article and found it very interesting, thought it might be something for you. 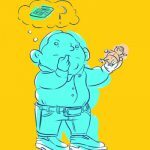 The article is called Economist Julie Nelson Says Much of Economics is a Sham Science and is located at http://evonomics.com/pretending-hard-science-ethics-free-julie-nelson/. Most economists, rather than seeing ourselves as studying communities of human beings, pretend to a more physics-like discipline. We model market, national, and international phenomenon using ideas of presumably universal “principles,” “laws,” and “forces.” We consider extreme mathematicization, as well as distance from normative concerns, to be signs of objectivity and rigor. Social research, we think, is for the sociologists. Normative arguments are for philosophers. And this is precisely why serious discussions of ethics in economic research are far, far overdue. A small crack in this “ethics are not our problem” edifice appeared after the financial crisis in 2008. Media coverage, including the movie Inside Job, revealed cases of, for example, the crass slanting of economic “research” results to fit a funder’s requirements. A very modest amount of self-reflection resulted, resulting in more attention to disclosure of sources of funds. Much bigger ethical issues, however, are yet to be addressed. Economics 101 teaches that people act out of rational, individual self-interest, that the essence of business firms is to maximize profit, and that the measure of success in national policy is a growing GDP per capita. These teachings have become increasingly performative. That is, while they originally purported to merely describe the world, they are increasing shaping people’s behavior and the structure of organizations. Some research has suggested, for example, that the study of Econ 101 tends to encourage self-interested behavior. The model of the economic agent as a self-interested, rational, autonomous individual utility-maximizer can make “looking out for number one” seem like a reasonable—and even the only reasonable—norm for behavior in economic life. In my economics classes, I increasingly find students willing to behave opportunistically, on the reasoning that if they don’t take advantage of a situation, someone else will. They are quite unapologetic about it, believing that this is simply the way the world works, and that to do otherwise would be foolish. The “businesses maximize profit” story has even more thoroughly permeated the conceptual well from which, it seems, we all drink. There is, of course Milton Friedman’s famous dictum, “Few trends could so thoroughly undermine the very foundations of our free society as the acceptance by corporate officials of a social responsibility other than to make as much money for their stockholders as possible”. The idea that businesses have a single, narrow financial goal is now repeated ad nauseam in the business and popular press, as well as forming the foundation for teaching in economics and management. The widening chasm between the compensation of Chief Executive Officers and ordinary workers in the United States has been was spurred by the economic theory that CEOs must be “incentivized” CEOs to act in the interest of shareholders. Yet the damage goes much further. Many critics of corporate abuses and rising inequality now also subscribe to the economist-created dogma about the essence of business. Arguing the case for an ethics of justice and sustainability from a Buddhist point of view, for example, David Loy argues that “Corporations are legally charted so that their first responsibility is not to their employees or customers, nor to other members of the societies thy are part of, nor to the ecosystems of the earth, but to those who own them, who with very few exceptions are concerned primarily about return on investment”. As a result, most aspirations for “alternative economies” tend to veer towards utopian or state-directed visions of communitarianism that are of limited practical value. The message seems to be, from both right and left, that business is–by its very nature–an ethics-free, and care-free, sphere. And the pool of poison continues to spread, even beyond the business sphere. One recent article, for example, proclaimed “Whether we like it or not, colleges and universities are a business. They sell education to customers….While the typical for-profit firm tries to maximize its profit, non-profit universities generally try to maximize their endowments or operating revenue…” The poison has even spread to thinking about nations: Applying to nations the economists’ dictum that only actions that serve self-interest will be chosen, Posner and Weisbach argue that global climate “justice” will likely involve poorer nations, who are feeling this environmental crisis first, making payments to richer ones, to compensate them for the loss of GDP they will suffer by taking action. These narrow, doctrinaire, and ethically scandalous claims could—and should—seem ridiculous to anyone with a modicum of social sophistication and humanistic sensibility. But even if you put ethics aside, standard economics doctrines don’t stand up to a pragmatically and empirically grounded view of the world. Any serious, grounded analysis shows that economic systems actually require a good deal of concern with ethics, interpersonal trust, and other-regarding behavior to function well. Purely opportunistic personal behavior, far from driving a market system, actually destroys it. Moving to the organizational level, the widespread belief that profit maximization is required by corporate charters, or by other legal or economic mandates, is actually false (Stout, 2012). Even when leaders of corporations may seem to be trying to “maximize” something, in practice profits for shareholders is generally not the goal. Personal wealth and/or expansion for expansion’s sake are far more frequent, among the possible self-interested goals. The profit-maximization story also obfuscates socially positive business goals, supported by many leaders who have a broader and more long-term perspective. These include providing useful, healthy products; creating good places to work; promoting environmental sustainability; and supporting innovation. Among non-profits, some leaders act like self-interested business executives, but some still try to educate, promote health, or serve another social purpose. While short-sighted national self-interest may include a concern for GDP per capita, aspirations related to territorial power and pride seem to be at least as prominent. Taking a longer-term view, national interests clearly must include attaining the sort of global cooperation needed to seriously addressing climate change. Businesses, non-profits, and nations are social communities of humans, with all the complexity that this implies. A more accurate and balanced understanding of human personal and organizational behavior as including both reasonable self-interest and reasonable care–for others and for the natural environment–offers, I believe, our best chance for a survivable future. Good science can be described as a process of systematic and open-minded investigation. Results should be carefully and intelligently compared to evidence brought forth from a wide and diverse community of investigators before being accepted as reliable. Models should be presented as what they really are: devices that some particular group of humans have found to be useful for examining some particular set of issues. Examined in light of these standards, much of economics is a sham science. Instead of being open-minded about our core models, assumptions, and methods, we have made narrow selections and then allowed these to harden into dogma. There is a clear “macho” bias in preferring explanations based on self-interest to consideration of community interest, preferring mathematical analysis to qualitative analysis, preferring consideration of rational motivations to inclusion of emotional ones, and so on. In our textbooks, we teach our narrow models as revealed truth, rather than as limited tools. Instead of seriously evaluating the reliability of our knowledge, we follow established habits of claiming “rigor,” based on the mathematics of our models and on econometric “tests.” The recent popularity of Randomized Control Trials has tended to revitalize a belief that objectivity can be achieved by simply following formulaic rules, with little attention to context or to the possibility of implicit biases. I could point out how these biases comprise economic practice with many examples, but for brevity let me focus on just one. Recently, there has been a growing awareness in many fields–particularly in the biomedical sciences and in psychology–about the dangers of using “statistical significance” to decide which results are worthy of dissemination. The notion of rejecting null hypotheses based on p-values had been, for a long time, taken as the definition of “rigor” in empirical practice. Yet, as is now being shown, the following of such simplistic, mindless rules can actually cause severe distortions to arise in a literature. With many variations in data samples and model specifications open to most researchers, “p-hacking” to create publishable results has become rife. In a recent meta-analysis I undertook of the economics literature on preferences for risk-taking, I found not only publication bias (a preference towards statistically significant results), but also confirmation bias (a preference for results which confirm an author’s own stereotypes about gendered behavior). Yet I have seen little action within the economics profession, much less within economics education, to—honestly and ethically–face up to the fact that our customary beliefs about “rigor” are seriously flawed. We seriously undermine the ability of the economy to do its job—that is, to provide for the sustaining and flourishing of life—if we continue to imagine it as an ethics-free and care-free sphere. Economic dogmas, misleadingly presented as scientific and widely disseminated through education and the media, are largely to blame for this damage. The field of economics is far overdue for an thorough-going ethical wake-up call. Originally published at ISRF Bulletin. 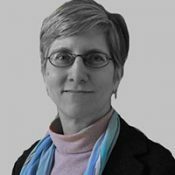 Julie A. Nelson is a professor of economics and department chair at the University of Massachusetts-Boston and a senior research fellow at the Global Development and Environment Institute at Tufts University.